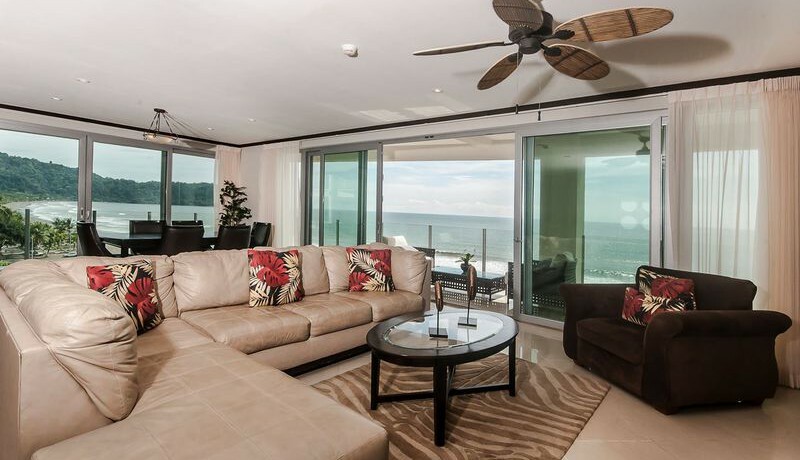 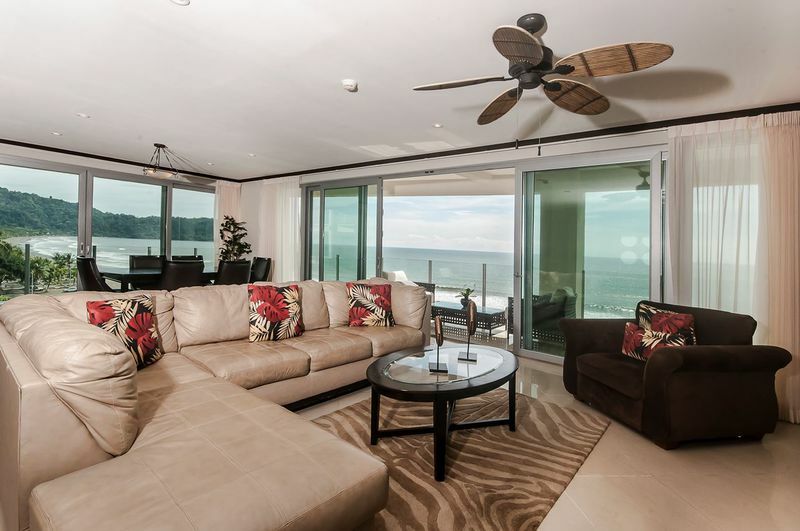 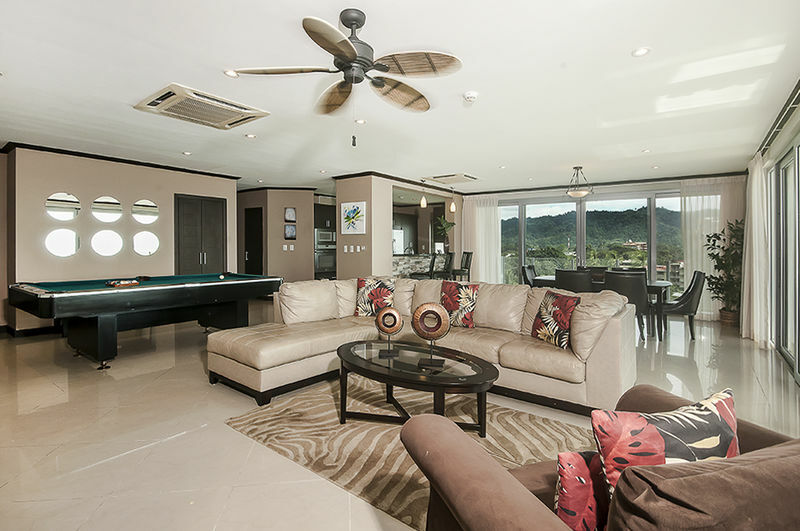 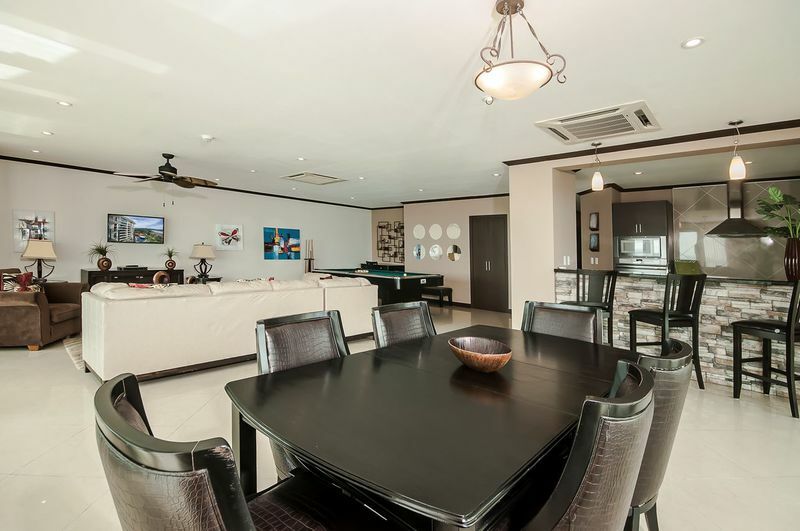 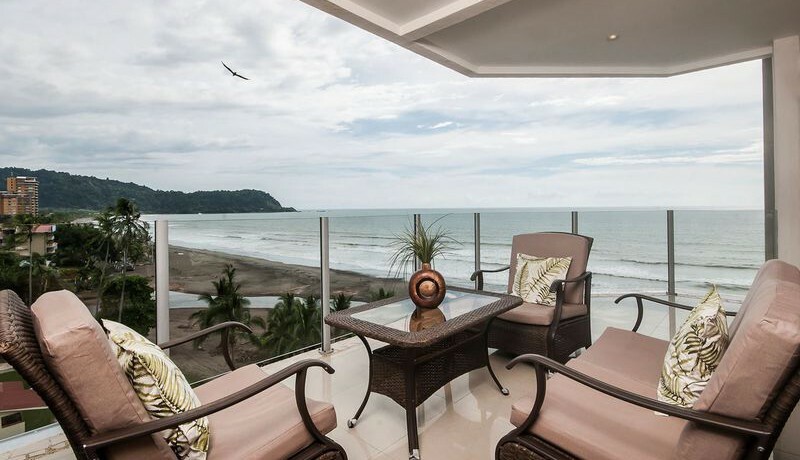 Discover this outstanding luxury penthouse for sale at Diamante del Sol, in Jaco, Costa Rica! 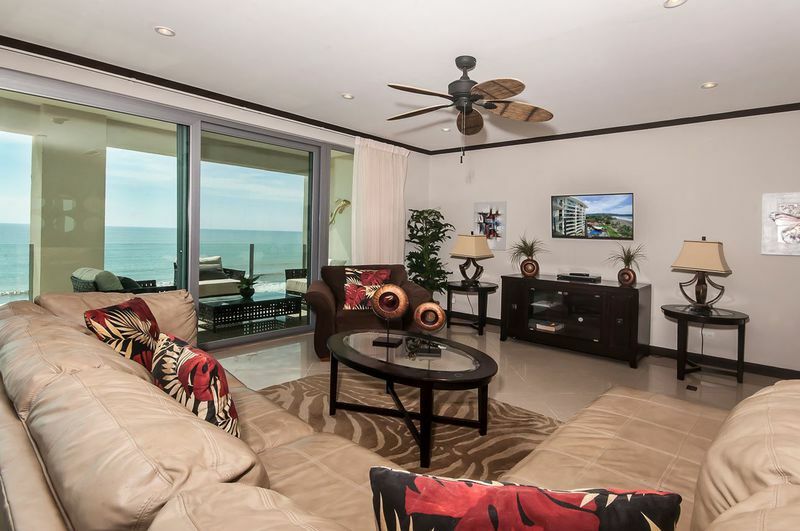 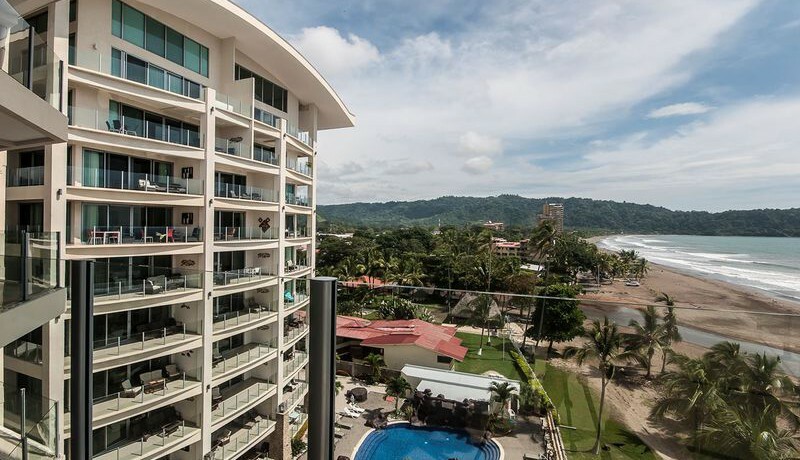 Boasting 4-Bedrooms and 4.5-Bathrooms, this condo spans 3,103 Sq Ft and overlooks the beautiful blue ocean and lush green rainforest. 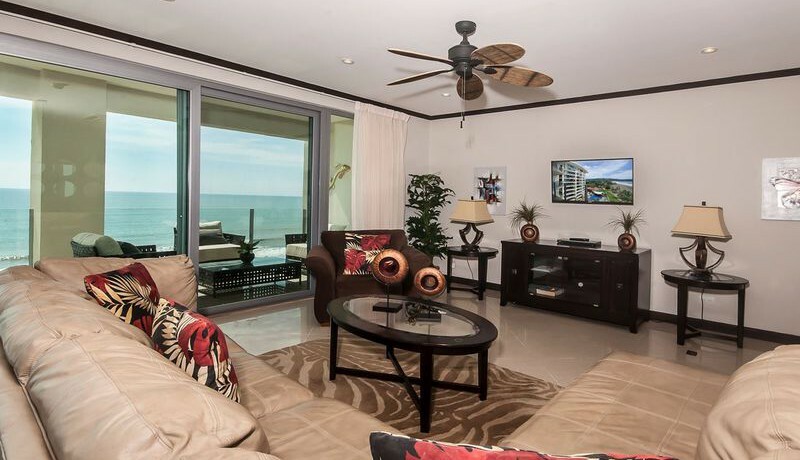 These amazing views can be enjoyed from any room in this 7th floor penthouse! As this home was designed and furnished with a contemporary feel, the kitchen features amazing stainless steel appliances as well as a stone breakfast bar, which works as a nice accent piece in the room. 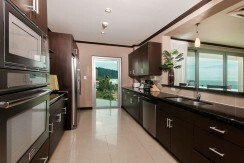 The dark cabinets and dark countertops provide ample space for delicious food preparation as well as storage. Owners can enjoy casual meals at the breakfast bar or move to the dining room when entertaining larger groups! 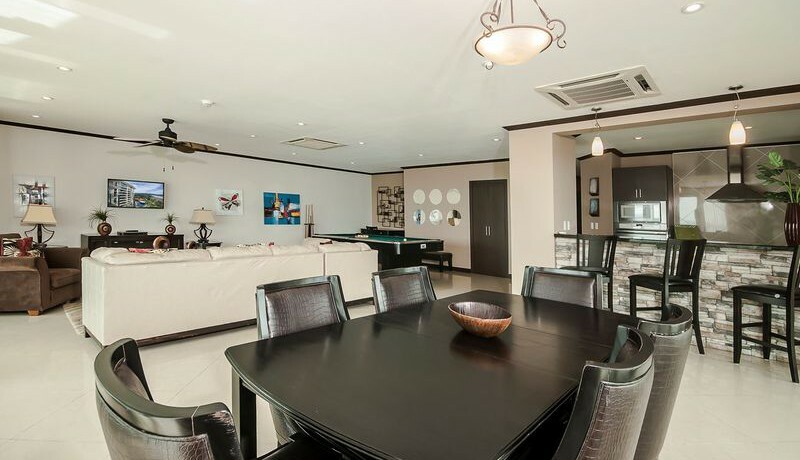 Due to the open concept design of this penthouse, the dining room and kitchen flow into the living room. 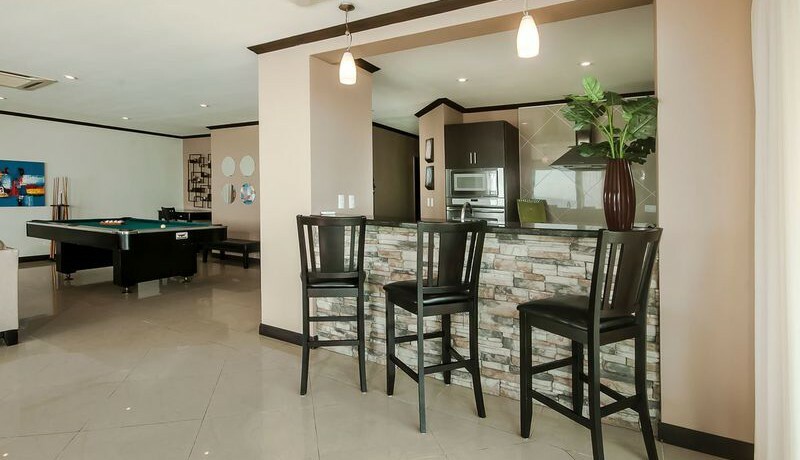 Next to the living room is a focal point all your guests will love, a pool table! 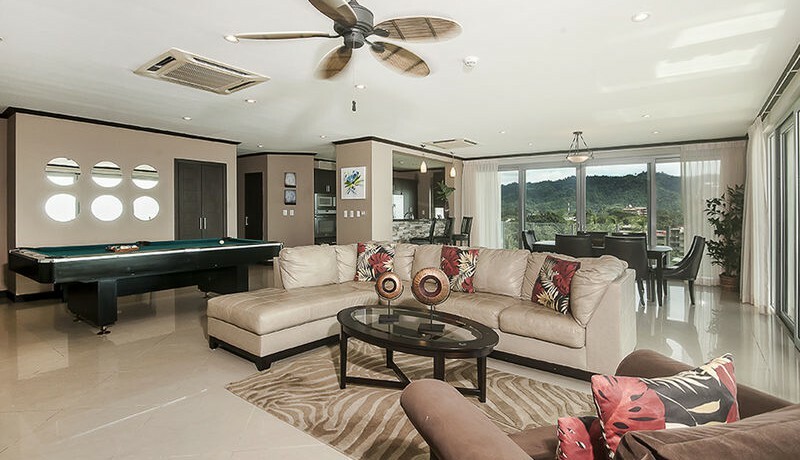 The wall of sliding glass doors let all the lovely natural light into this condo and lead out to the outdoor living space. 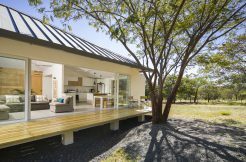 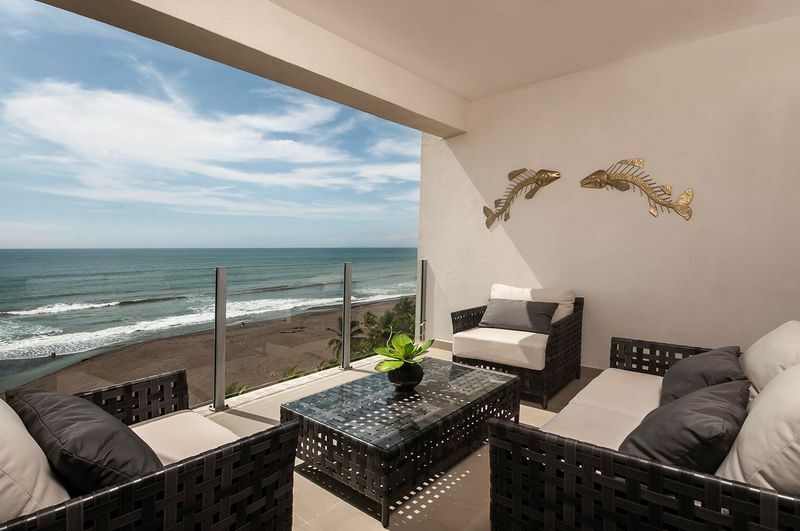 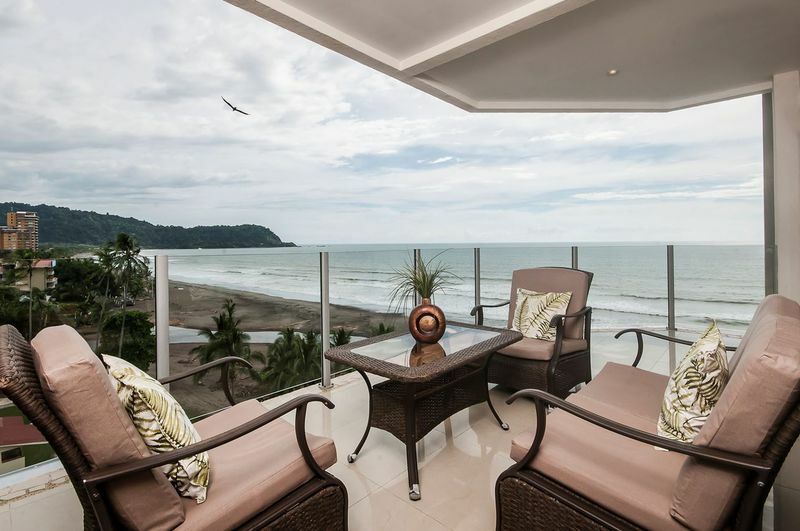 This wrap-around terrace features the best views in all of Jaco! Owners can sit out on their balcony and enjoy their morning coffee or drinks with friends at sunset. 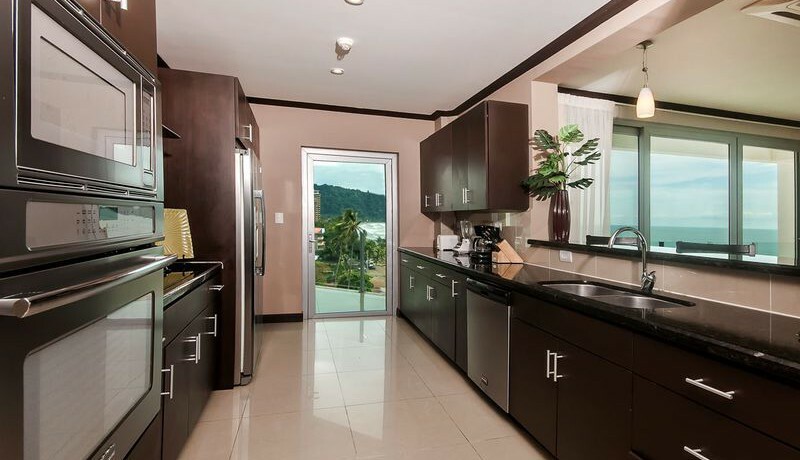 Around the corner is another dining table because meals go best with a breathtaking view. 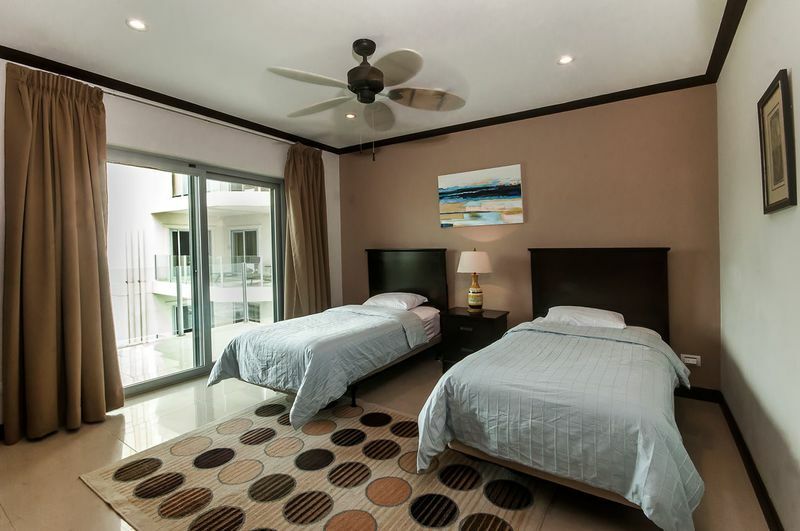 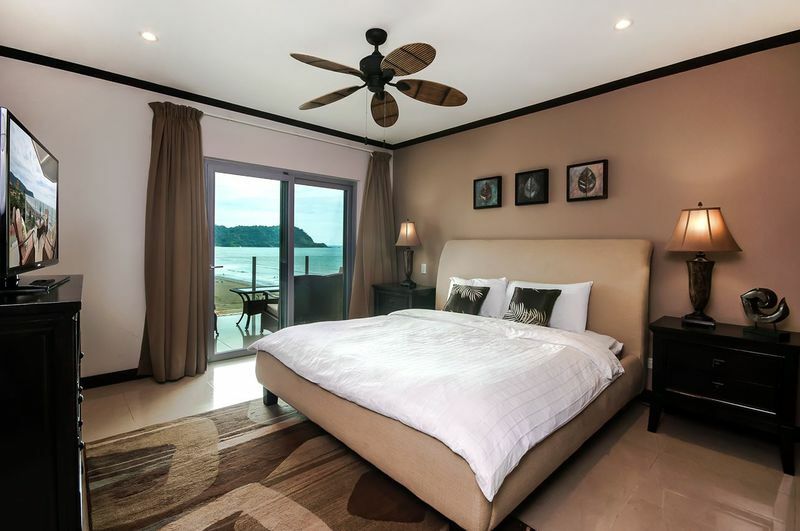 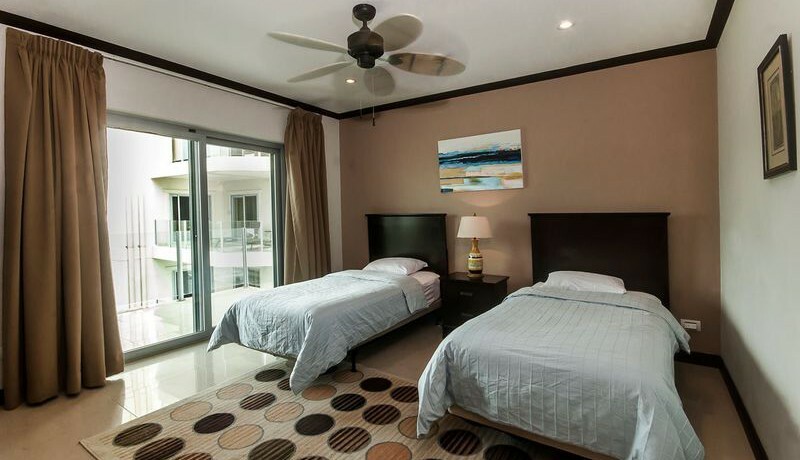 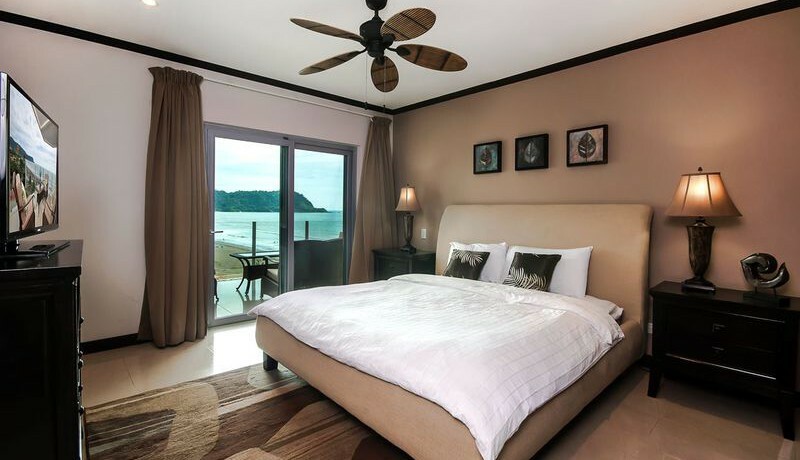 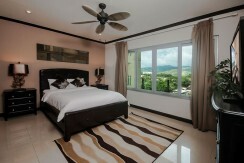 The Master bedroom is a beautiful room and has access to the amazing balcony through sliding glass doors. 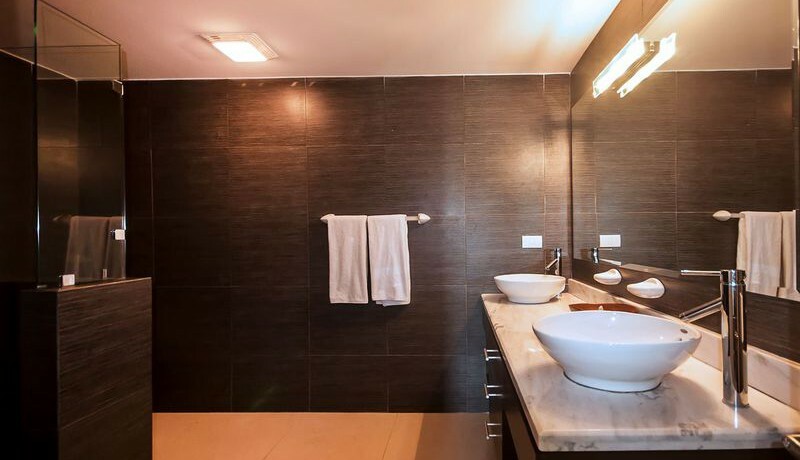 The luxury ensuite bathroom boasts double sinks and beautiful marble and dark wood finishings. All the guest bedrooms have large windows and incredible natural light, one even has access to a balcony! 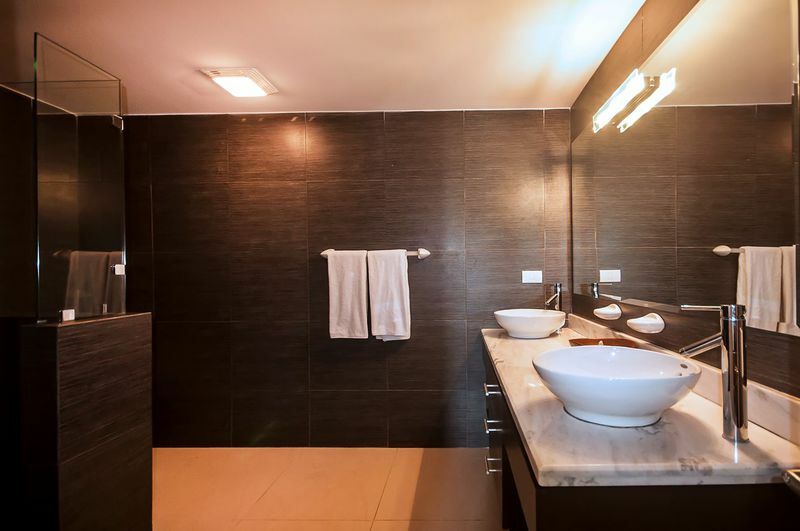 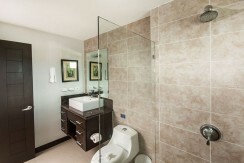 The lovely modern design is kept through the ensuite bathrooms as well. 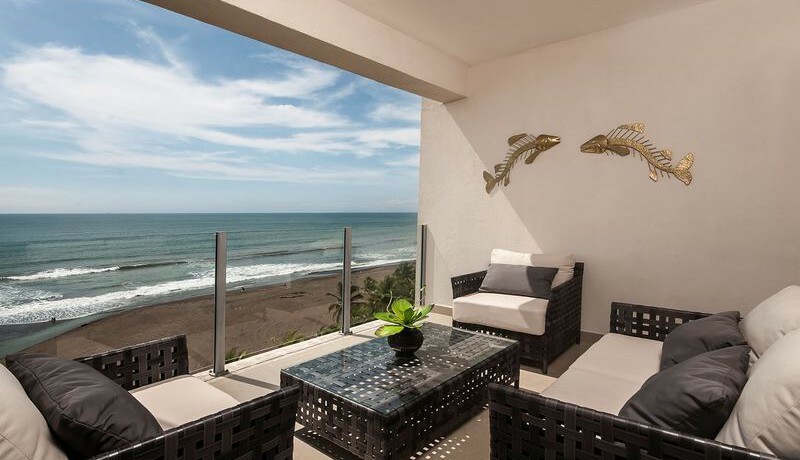 Owners of this stunning penthouse have access to the exclusive residential community’s pool, which is only steps from the warm sand and refreshing Pacific ocean. 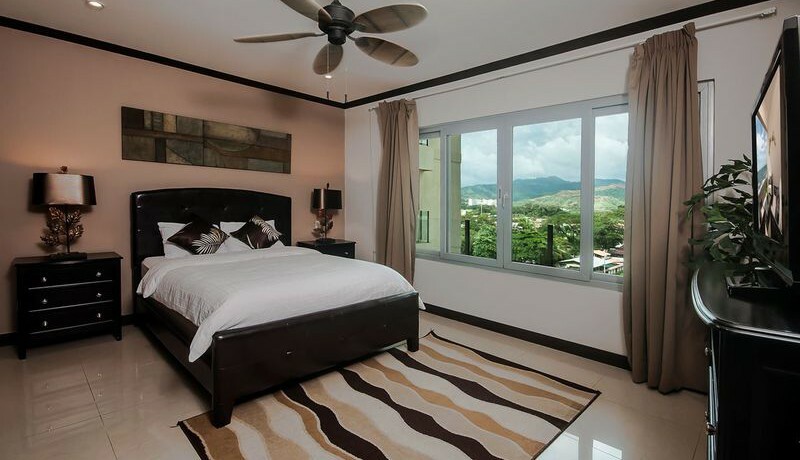 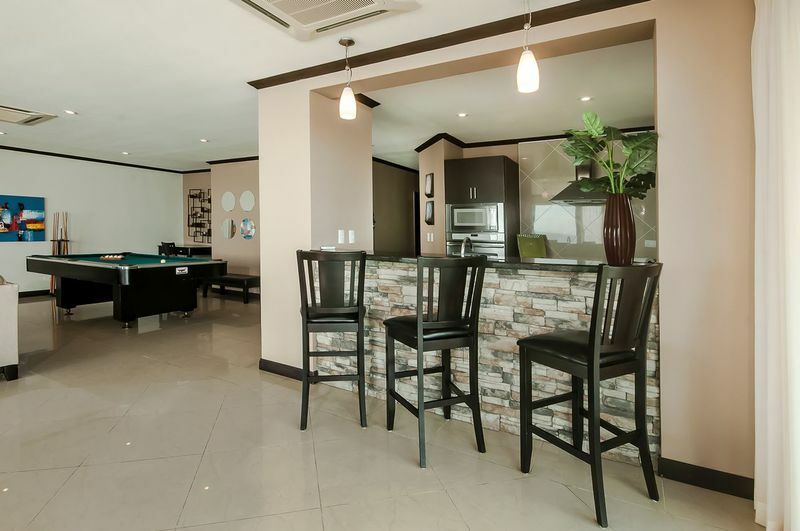 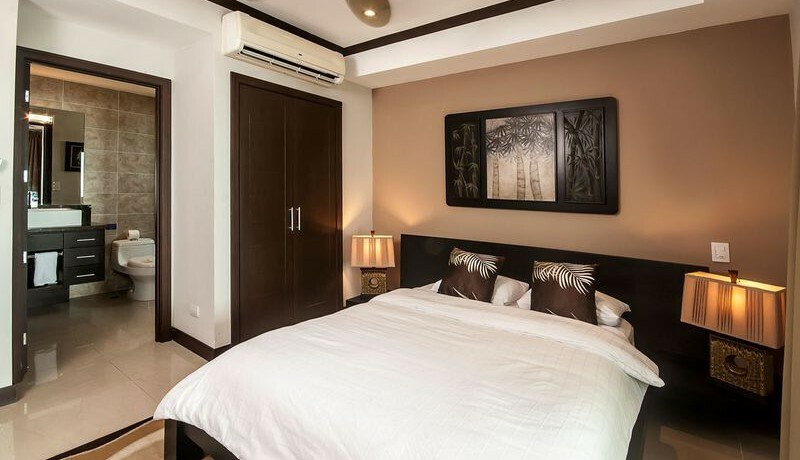 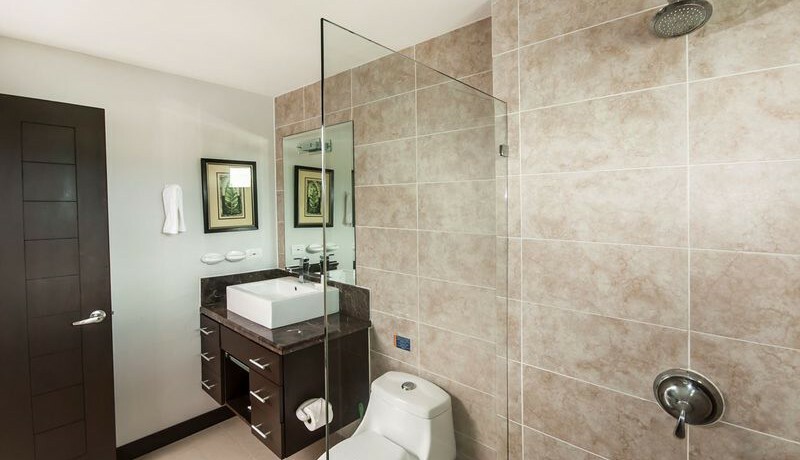 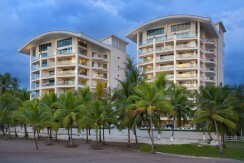 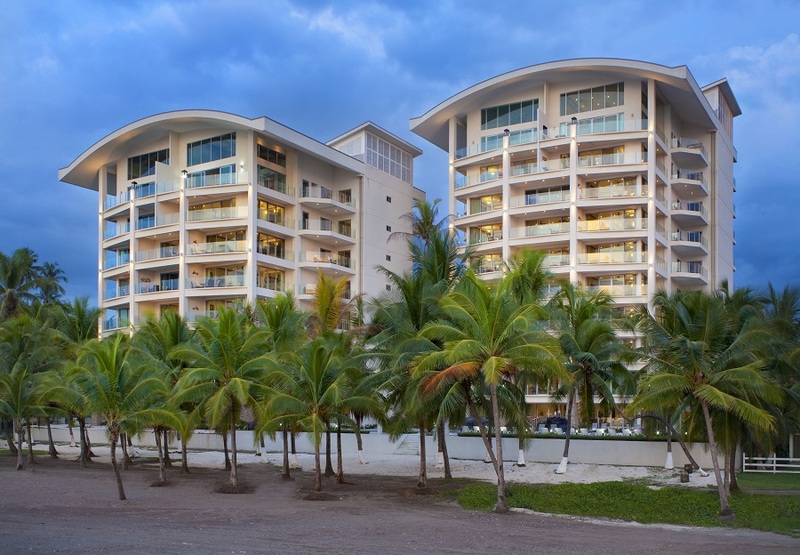 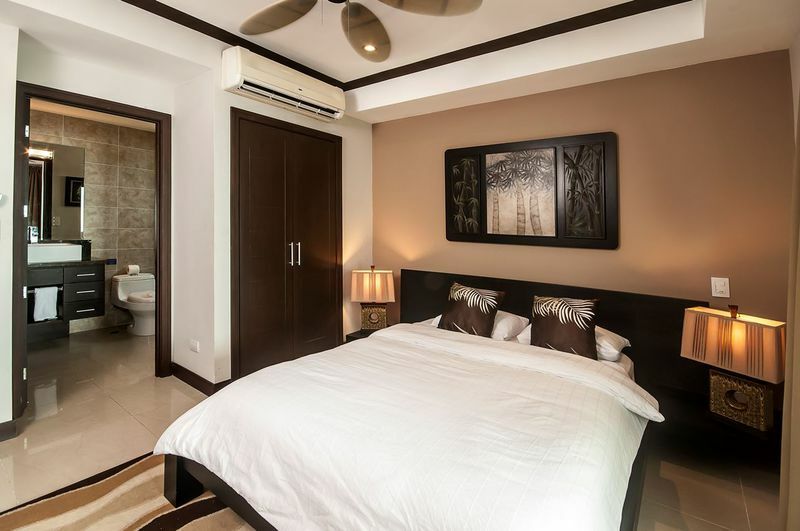 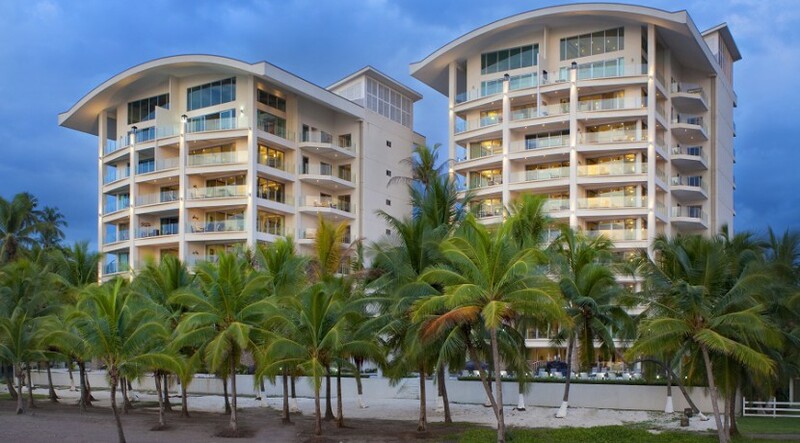 Located in the heart of Jaco, you are only an elevator ride away from all the excitement and amenities of downtown! 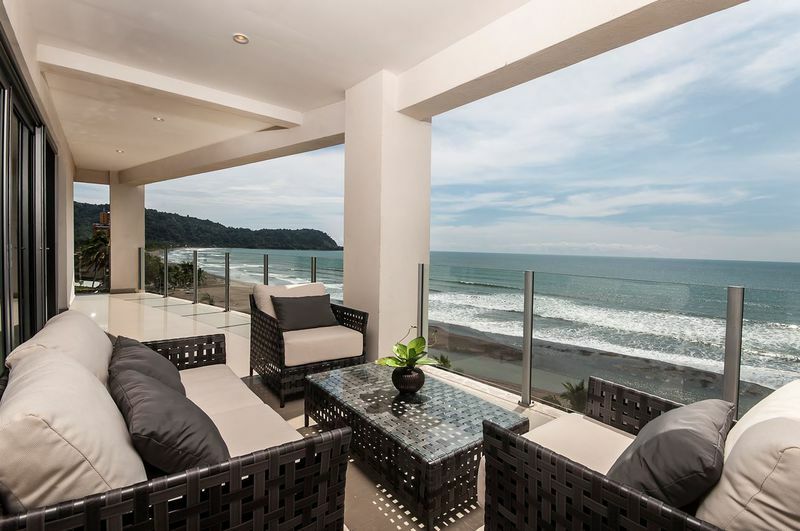 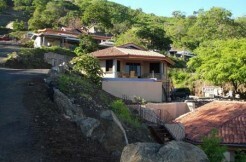 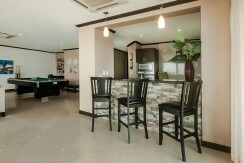 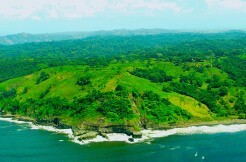 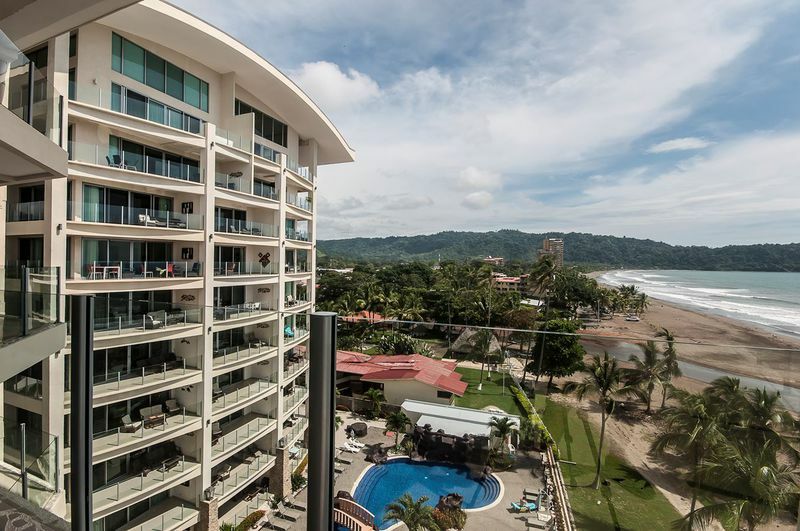 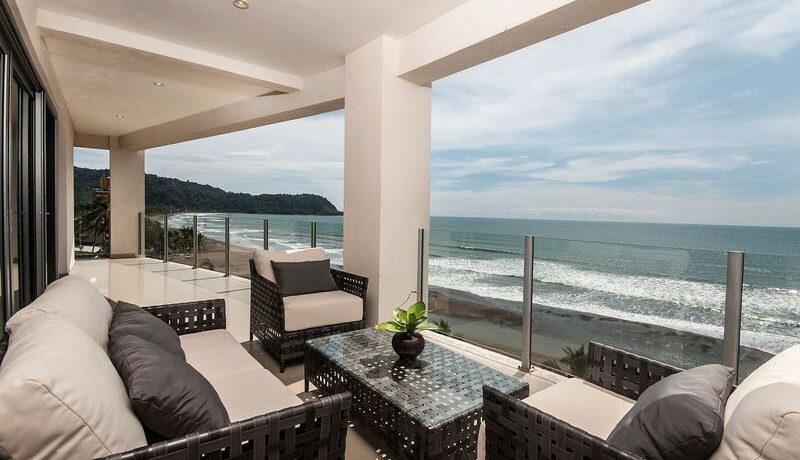 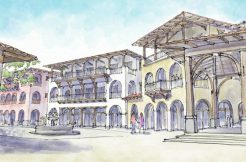 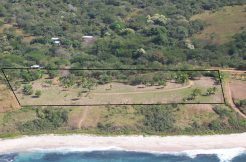 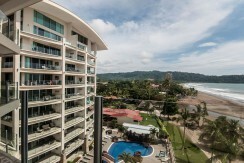 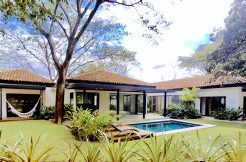 Please contact us now for more information on this luxury penthouse for sale in Jaco, Costa Rica!